Artist Penny Smith brings her unique Nature in Motion exhibit depicting her love of the outdoors, wild animals and cherished pets to Summit Artspace on Tusc, Nov. 24, 2018, to Jan. 19, 2019. Winter Wonderland Festival. Smith will also be painting in the gallery area during the show open hours: Fridays, 5-8 p.m., and Saturdays, 12-5 p.m. She will give free painting lessons on Fridays from 6-7:30 p.m. during the exhibit. No reservations are required. Summit Artspace on Tusc is located at 571 W. Tuscarawas Ave, Barberton. Check out the event listing for a map. 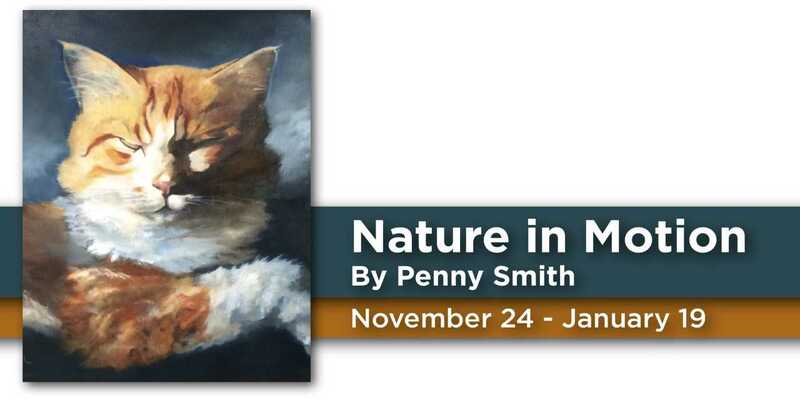 Doylestown, Ohio artist Penny Smith’s exhibition consists of oil and watercolor paintings that explore the daily lives and inner worlds of wild and domesticated animals and offer glimpses into domestic scenes. Smith, who has lived in close proximity to wild and working animals in rugged parts of the country for much of her life, brings her observations and direct experiences with animals to her work. Smith began drawing by age 10, began selling at age 12 and became professional at age 24. She was self-taught for the most part, benefiting greatly from the instruction of local artists, whenever possible. The best education was observing her own animals and the local wildlife. Raised deep in the Northwoods of Wisconsin where wildlife is plentiful, subjects at that time were predominantly deer, bear, wolves, coyotes, dogs, cats and horses. Soon Smith was selling wildlife paintings and was receiving a few pet portrait commissions while her “real job” at the time was logging. A few years later, Penny was working for the Wisconsin Department of Natural Resources in wildlife management. Both jobs provided an excellent opportunity to take photos of animals in their natural habitat. After moving to Ohio, Smith concentrated on the pet market, adding graphics in the form of commercial sandblasted stone and redwood signs. Today she mostly uses mediums such as oil, acrylic and watercolor. 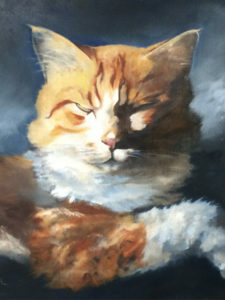 Subjects include wildlife, pet portraits, still life and graphics. Smith hopes that her paintings will serve to connect viewers to the animals she depicts, creating greater consideration for the wild ones, and serving as meaningful mementos of the domesticated ones. She creates pet portraits on commission, and gives a percentage of her revenue to no-kill shelters and rescue facilities. Her work is in numerous collections across the country. 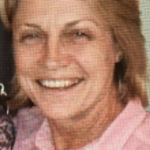 Her clients include the Vermont Department of Natural Resources, Wisconsin Department of Natural Resources, Robert Redford/ Sundance Ranch, Utah, and William Duvane, Utah. Summit Artspace on Tusc is part of Summit Artspace, a non-profit community art center organization that provides studio, exhibit and programming spaces in Summit County and the surrounding area for local artists and arts organizations; and is a center for art education open to all residents.